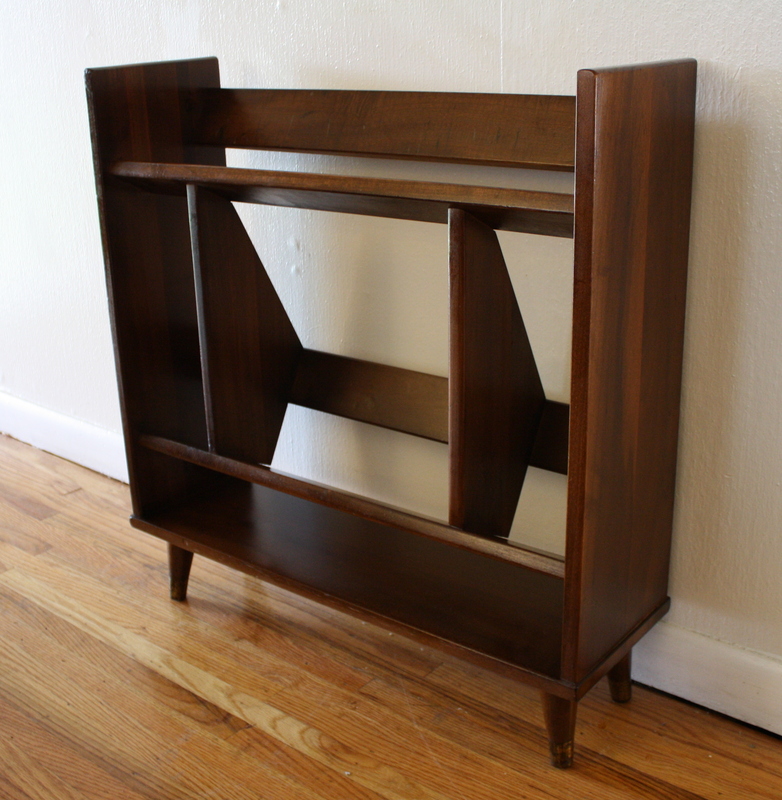 This is a mid century modern bookshelf made of solid wood with brass tipped tapered legs. Dimensions: 36”W x 12”D x 30”H. 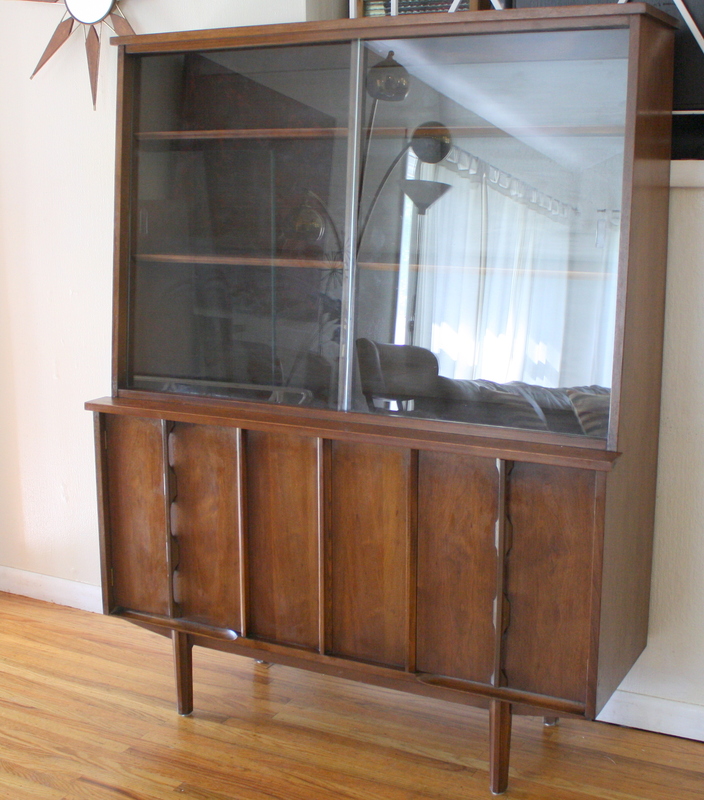 This is a mid century modern book shelf hutch cabinet by Stanley. It has a slanted top shelf unit with 3 shelves, a bottom cabinet with 3 dovetailed drawers and side shelf unit. Dimensions: 36″W x 17.5″D x 64.5″H. Accessories sold separately. These are 2 mid century modern shelving units. They have 2 cabinets that are height adjustable on their metal legs that run along its sides. The top of both modular shelf units have open cabinets, the bottom cabinet of the first has 3 dovetailed drawers with Danish style wood pulls. The bottom of the second cabinet has 2 doors with Danish style wood pulls and an inside shelf . Dimensions of each cabinet: 36″W x 18″D x 65.5″H overall. Accessories sold separately. 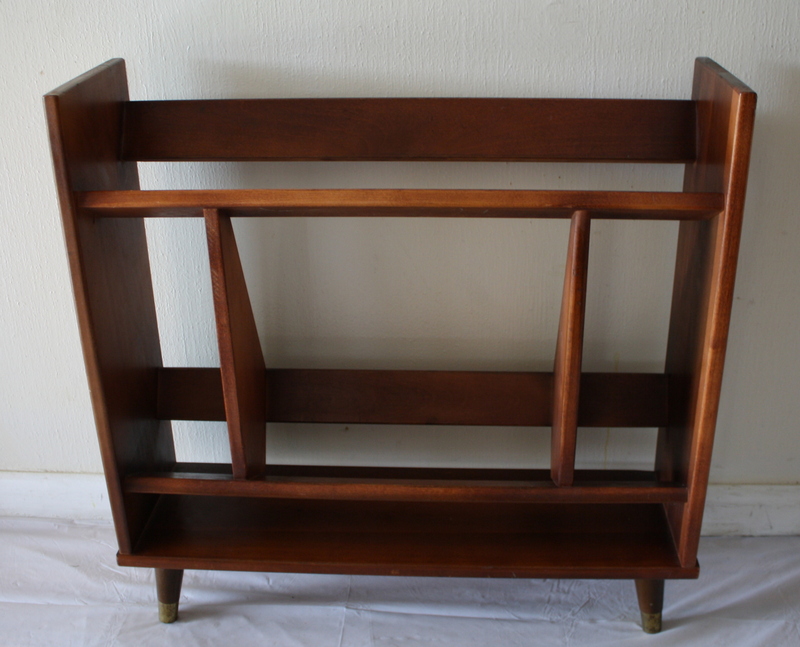 These are 2 mid century modern Danish style bookshelves with a gorgeous angled design and tapered legs. They are a smaller size, great for compact spaces that need a perfect little accent piece. (Books pictured are not included.) Dimensions: 26″W x 8″D x 27.5″H. 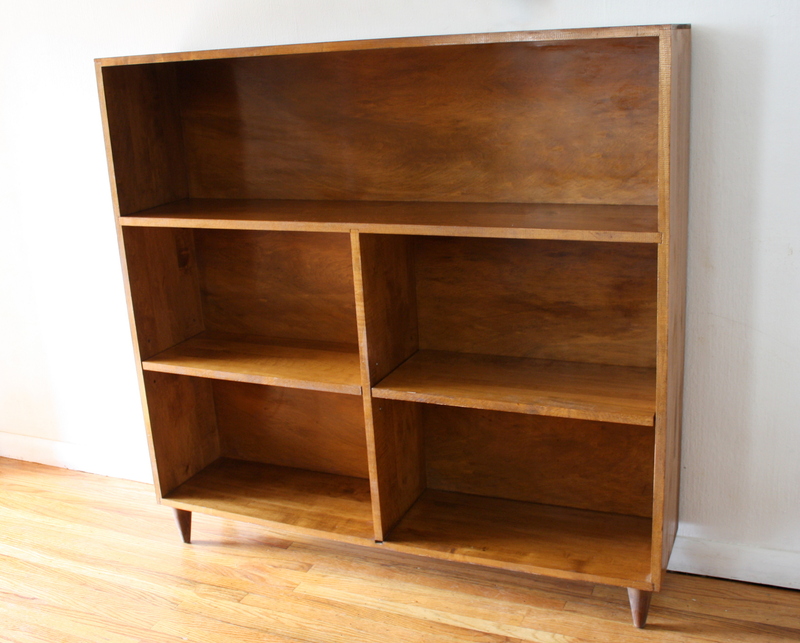 This is a mid century modern Danish modular bookshelf. The shelves can be height adjusted as well as the bottom cabinet. Dimensions: 30″W x 16″D x 72″H. 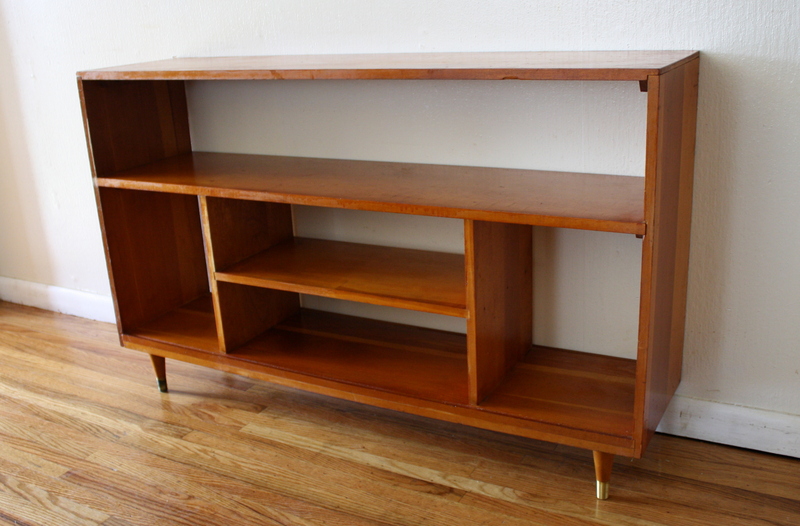 This is mid century modern teak credenza and bookshelf unit from Dixie’s Scova collection. The credenza has 4 doors of storage with adjustable shelves and drawers: 64″W x 18″D x 29.5″H. The top unit has 2 storage compartments: 64″W x 14″D x 33″H. Total overall height: 62.5″H. This is a selection of mid century modern bookshelves. The first book shelf is a large bookshelf with adjustable bottom shelves and tapered legs. The shelves can be placed symmetrically or asymmetrically according to your needs. Dimensions: 48″W x 10″D x 46.5″H. 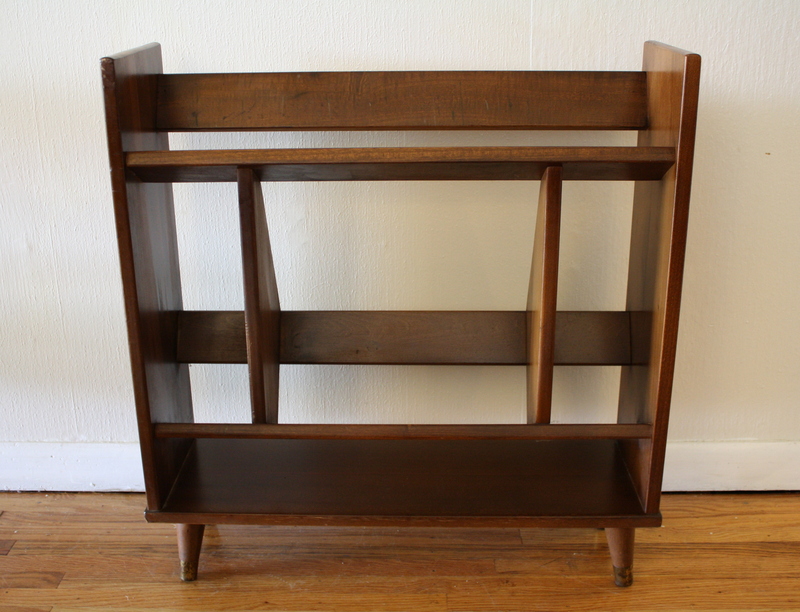 The additional mid century modern bookshelves featured are ones that we have sold recently. All bookcases and shelves are sold. 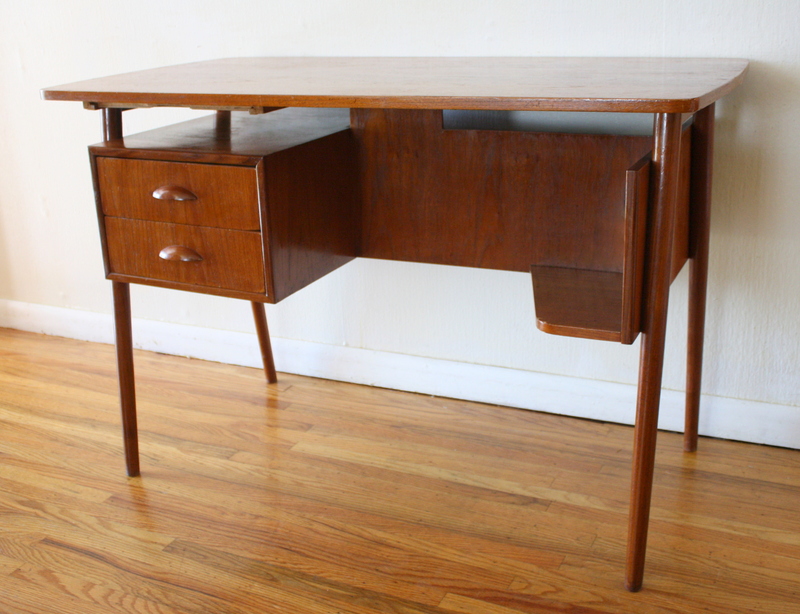 This is a mid century modern desk with a floating shelf design, 2 dovetailed drawers, and a front facing bookshelf. It has beautiful splayed legs and carved wood handles. Dimensions: 43.5″W x 24″D x 29″H. 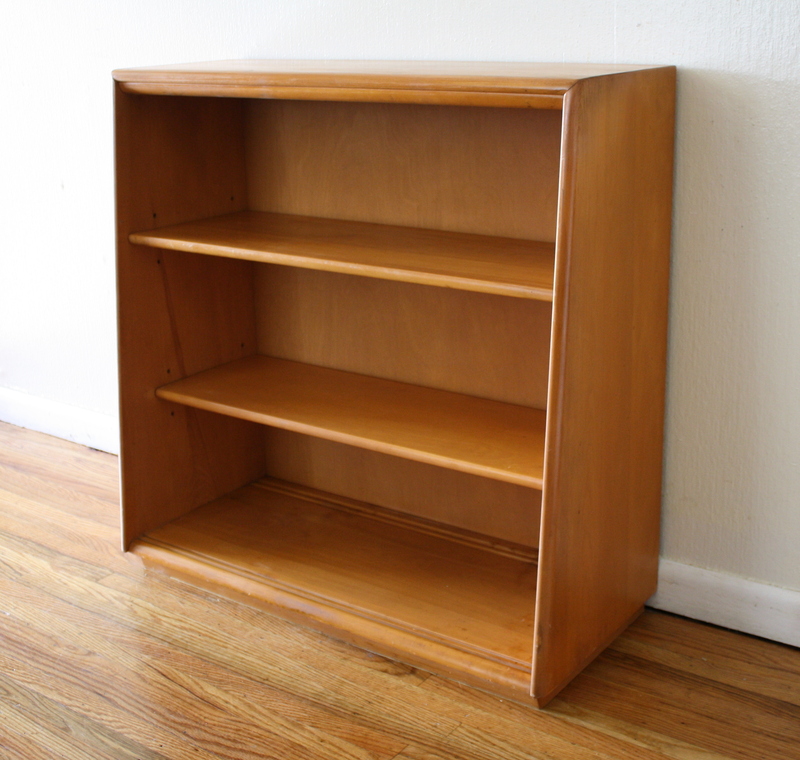 This is a mid century modern bookshelf made of solid wood, with 2 shelves and cute tapered legs. Dimensions: 36″W x 10″D x 28″H. These are 2 mid century modern bookshelves. The first is a Heywood Wakefield bookshelf. It is made of solid wood, has the signature HW curves, adjustable shelves and a great slanted design. Dimensions: 32.5″W x 14″D x 32.5″H. The second bookshelf has several storage units,has tapered legs, and is made of solid wood. Dimensions: 48″W x 12″D x 30″H. This is a selection of our mid century modern bookcases and bookshelf. The first is a blonde solid wood bookcase with glass doors: 30″W x 13.5:D x 36.5″H. The second is a solid walnut bookcase in a rich espresso with glass doors: 36″W x 12″D x 42″H. 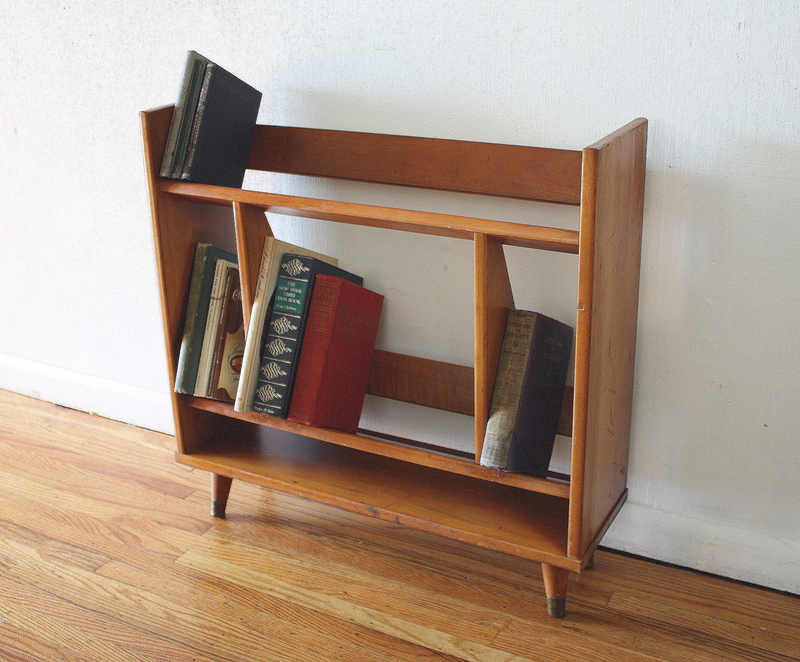 The third is a solid wood bookshelf with adjustable shelves by Heywood Wakefield: 35.5″W x 11″D x 32″H. This is a Danish teak executive desk by Domino Mobler. It has 6 dovetailed drawers and a built in front facing bookshelf storage unit. The desk can face out into a room. Dimensions: 59″W x 28″D x 29″H. We love Heywood Wakefield’s signature mid century modern sultry curves. Our selection includes a corner shelf unit with a bottom cabinet that has an adjustable shelf: 29″W x 15.5″D x 68″H. Also available is an upholstered bench with carved design accents: 23″W x 11″D x 19″H, and a bookshelf with 2 adjustable shelves: 35.5″W x 11″D x 32″H. These pieces are from the Baumritter Roommates Collection. The top bookshelf cabinets are removable and have a covered compartment with doors, perfect for storing some mini bar essentials. The bottom side tables can be 1 of 3 combinations: a record shelf with drawer, a three drawer side end table, or a side table with a drawer and removable bottom shelf . The pic is shown without the bottom shelf, can be used for storing taller items. Very versatile and cool style. All 3 side tables can also be sold separately, there are 2 top shelf pieces available. 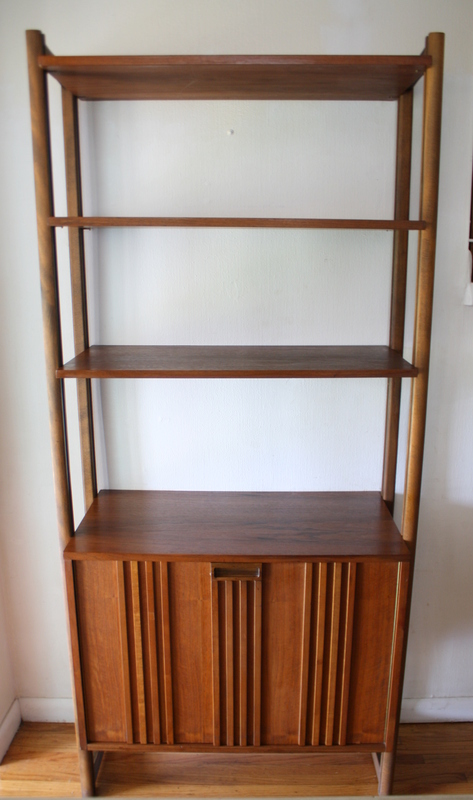 This is a mid century modern Danish style bookcase made of solid wood. It has brass tipped tapered legs and gorgeous angles. It is a smaller size, great for compact spaces that need a perfect little accent piece. Stock it full of your favorite books! This is an antique art deco mini bookcase. 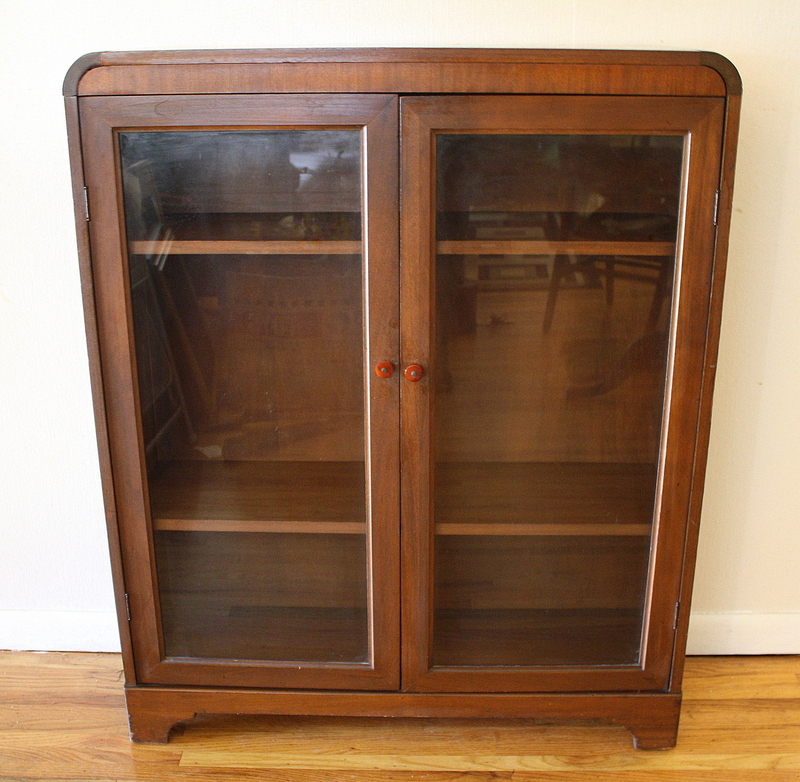 It has two glass doors, 3 shelf compartments and a beautiful wood grain. It has great art deco curves and is perfect for smaller spaces. 1 sold in a featured Fab.com sale. 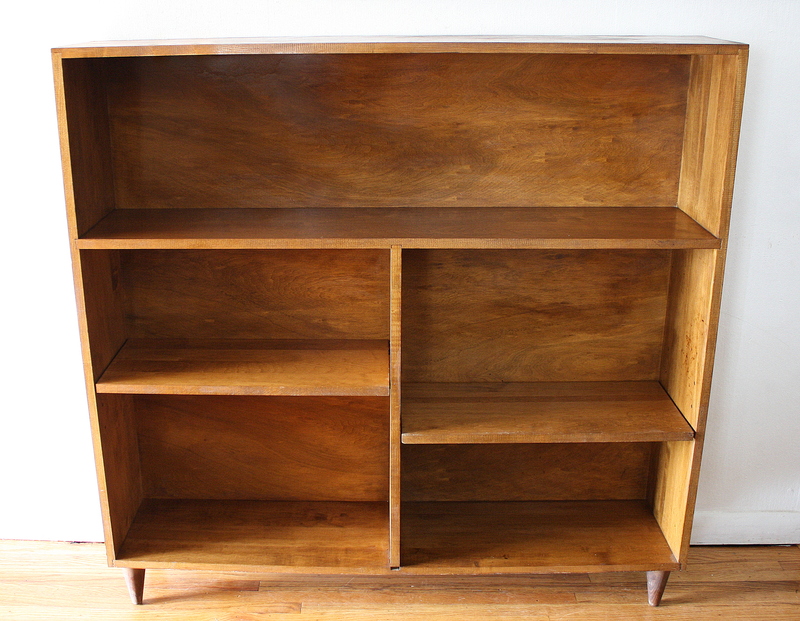 This is a mid century modern bookcase that has a top drawer. It has a great angled design and is made of solid wood.